Heat a dry cast iron pan over medium heat. When pan is hot add your nut or combination of nuts and toast, stirring frequently, until they start to brown, about 5-10 minutes depending on the nut. Place toasted nuts in food processor and process until nuts turn to a creamy butter, about 5 minutes. Stop the food processor several times and scrape down the sides during processing time. If you want crunchy nut butter add more nuts after the base has turned creamy and process to the desired consistency. 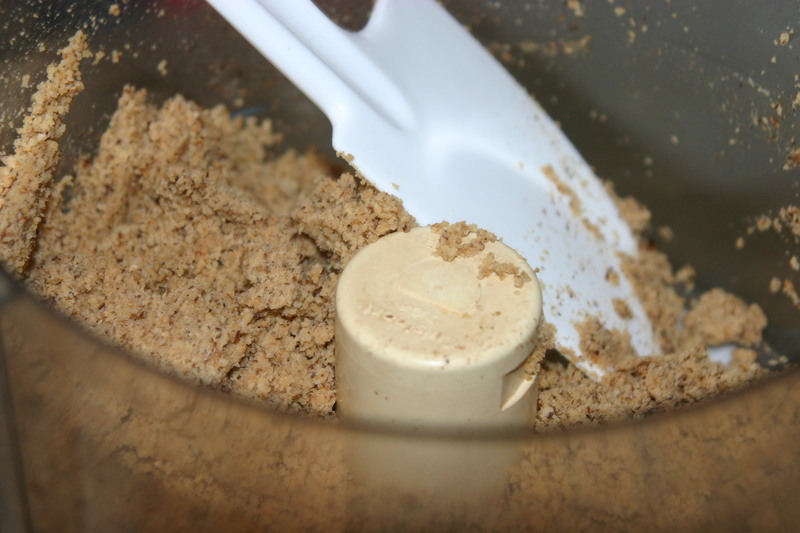 Scrape nut butter into storage container and let cool before closing completely. 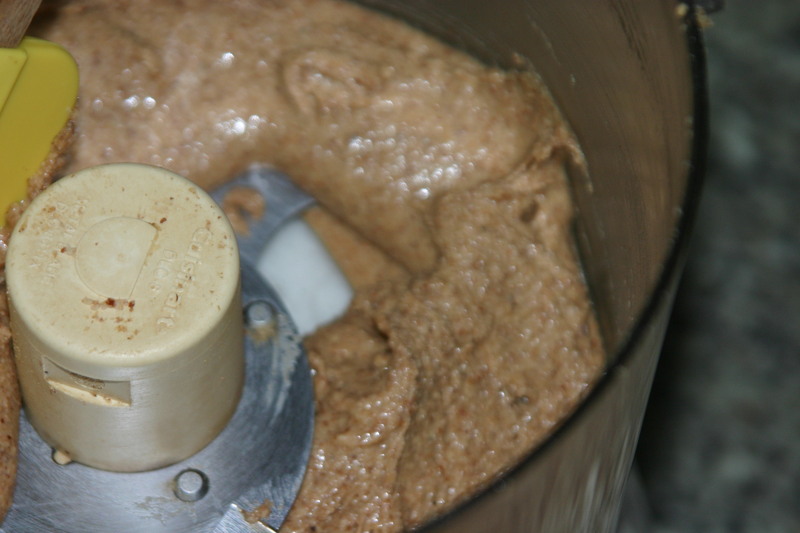 What is important for successful nut butter? Processing with something high powered enough so you don’t go insane. How do I decide what to use? I usually make a batch of almond butter and a batch of walnut butter in one day. I love almond butter for it’s perfect, slightly sweet, nutty, saltiness. I love walnut butter for its richness and almost bitter taste. I have also used a combination of nuts depending on what is in my house. At times I will add flavoring such as cinnamon, but rarely as I love the just the flavor of the nuts with a little salt. I didn’t put any quantity because you can make as much or as little as you want. I toast one layer of nuts in my big cast iron pan and that is a batch for me. It makes about one pint jar. Well, your high powered food processor or blender just cuts the nuts to little pieces, releases the natural oils, and turns the whole thing into one creamy batch of deliciousness. If your blending apparatus is not high powered enough you might have to add some oil to the mix to allow it to blend. A food processor works perfectly and I don’t have to add anything but nuts. 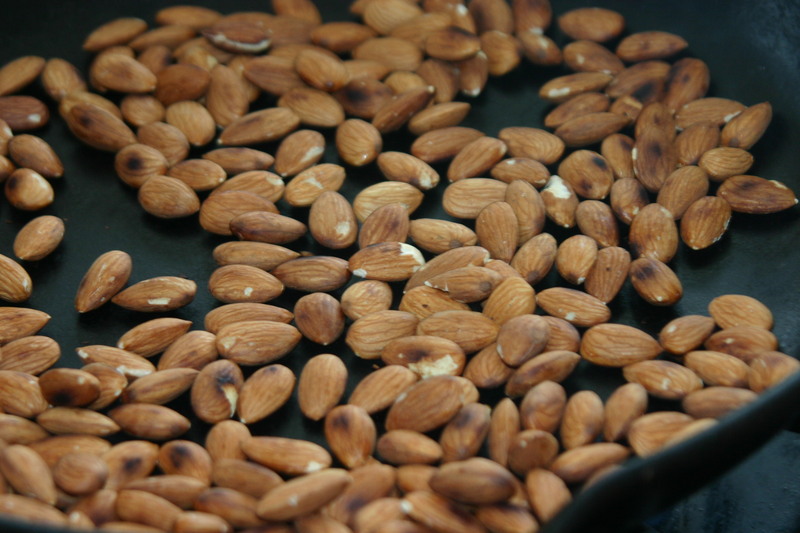 These are the almonds after toasting them. These are the almonds partway through processing them.